Beauties, do you ever wake up in the morning after a less than perfect sleep and already know what will be looking back at you? Big puffy eyes. Damn you Game of Thrones Marathonâ€¦ They come at the worse moments, after a wild night out, or after a late night at the office, here are some remedies to give you a quick relief. Cut your potato into small slices, place them in a cold bowl of water, and let sit for 15-30 minutes. Then, pat dry and place on your eyes for 15-20 minutes. Want a random fact for why it works? Potatoes may come as a surprise, however potatoes hold nutrients and an enzyme called catecholase, which becomes released when the potato is cut and exposed to air. Keeping cool as a cucumber is no myth. A cool cucumber will act as the perfect cold compress to reduce swollen eyes, simply cut up a chilled cucumber and place on your eyes for 20 minutes or until the cucumber becomes warm. Chilled tea bags will leave you feeling awake and rejuvenated. 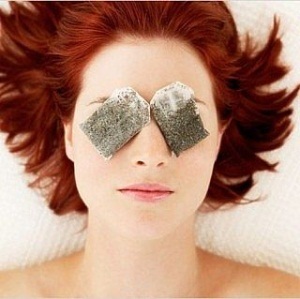 Take two tea bags and slightly soak them in cold water, leave in the refrigerator for 20 minutes. Once ready place them on your eyes for 25-30 minutes. Trust me, it feels ah-mazing. Ok, this is one is kind of ew but these are the things we do for beauty. Separate 2 egg whites and whisk. Then brush/dab with a cloth under your eyes. Leave it for 5-10 minutes or until dry. You will feel your skin start to tighten up. Yay! Once dry, rinse your eyes with cold water after. Pros will have 4-6 spoons waiting in their fridge. When in need take them out and put one on each eye. As they begin to get warm replace with the cooler spoons. For serious bags that need a little more attention, milk is your go to. Milk is the best for reducing swelling or cooling down (especially if you eat a lot of spicy food). You will need a cotton pad and cold milk. 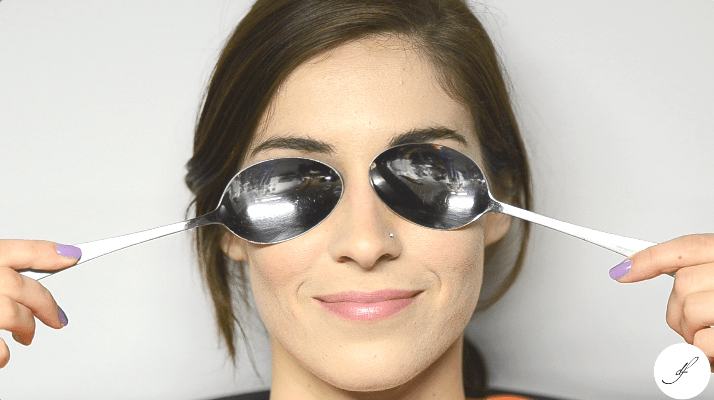 Dip the cotton pad into the chilled milk and place on your eyes for 20-30 minutes. Afterwards wash your face with cold water. FYI: Puffy eyes and dark circles under your eyes are caused by an accumulation of fluids (edema) in surrounding skin areas. Causes? Overconsumption of salt, dehydration, lack of sleep and stress â€“ you know youâ€™re guilty. In the morning our puffy eyes can be at their all time worst because when we sleep we donâ€™t blink, and thereâ€™s no way to release the fluids! The post 6 Refrigerator Remedies for Puffy Eyes appeared first on Zahara.